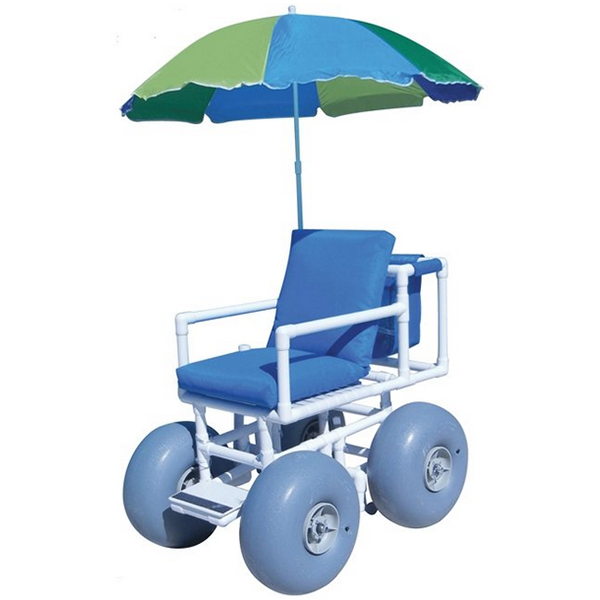 It is always summer somewhere and so when it comes around you do not need to stay indoors and miss out just because your wheelchair won’t let you access the beach with the entire fun, fill your heart with joy and all the summer magic at the beach with the Aqua Creek Beach Access Chair that will ride through snow, sand and soft soil with ease. Let us focus on the details of the features of this fabulous chair next. The chair comes with a seat belt for your safety. You do not need to be afraid of tipping over as you plough through the sand at the beach or the snowballs on the road. Leaving your house for the sunny outdoors is important, you will get the required dose of vitamin D, but that is not to say that you should expose your skin to the sunburn or even get all soaked up in case there is a sudden downpour. The Aqua Creek comes with an umbrella so come rain or sun you are good to go. Besides, the chair has a storage bag that will make it super easy for you to carry whatever you may need while outdoors. Carry your personal stuff in comfort and convenience. A comfortable cushion seat graces the seat of this fantastic wheelchair. The comfortable cushion ensures that the fun is not cut short by the discomfort of your seat. Single motion park brakes are fitted on the wheelchair to ensure your safety. The chances of crashing as a result of brake failure are zero. The chair has a weight capacity of 300lbs, the seat height is 25″ and 34.5″ wide so it can easily access any doorway. This is the chair for the adventurous, free soul wanderers. It is ideal for going for outdoor activities. Going to the beach, fishing, hikes or even kayaking need not be something you can only do in your dreams. 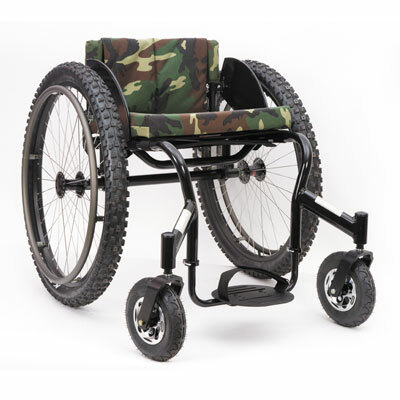 With the Top End All Terrain Wheelchair all these is at your reach. It is built with a durable aluminum rigid frame and with multiple colors to chose from. The tire has 25 inch rear wheels for extra traction. The huge wheels are built to enable you move in all terrain without difficulty. It can move through grass, on gravel and can even be towed on a four wheeler while sitting in it. The front wheels are also large enough for you to roll over any obstacles and not get stuck. It operates well in muddy places. The Top End Terrain has a weight capacity of approximately 130kgs. Weight is not a major issue for this wheelchair. Besides, the chair features are adjustable. The back height, foot rest and center of gravity can be adjusted to the user’s desire. This is no doubt the wheelchair that you are looking for! You will enjoy this light, stylish and tastefully designed high grade quality wheelchair at a price that won’t leave your wallet empty. The wheelchair is ideal for users who may travel. It has a TR frame that is compact and thus very easy to transport compared to other models. A traveller who uses a wheelchair for mobility will find the TRLite Tr Titanium a travel mate. It possess a flexible chair that can shrink by up to an inch, this ensures that the user moves carefully and skilfully in narrow corridors and areas with limited space. With this wheel chair, you will be able to easily access places that you have always had fears to visit with a normal wheelchair. Count all the places that you only visited in your dreams accessible with the TR Titanium.